Since the release of ASICs for Ethereum, most of us are looking for other coins to mine with our GPUs. 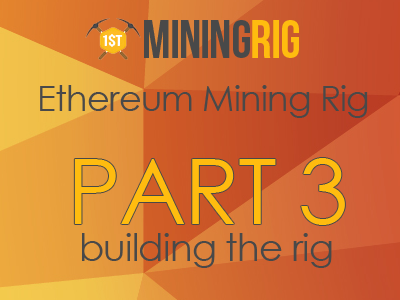 Vitalik’s reaction to the introduction of ETH ASICs didn’t help either, which makes me believe that now it’s more important than ever to find a decent alternative to mine with our rigs. Is GPU Mining Coming to an End? Bitmain and its competency are challenging everything and releasing ASICs for the most ASIC-hostile coins out there. First we had Dash – the coin is based on the X11 algo that was intended to be quite resistant to ASICs (the X11 stands for 11 different algos chained together). It didn’t last long though and now Dash GPU mining is long gone. After that, Bitmain has released an ASIC for Ethereum that has been advertised as ASIC-resistant too – the memory-intensive algorithm should in theory make it hard for anyone to mine it with anything other than a GPU. Apparently, this didn’t stop Bitmain either. While consumer level Ethereum ASICs don’t hash 100 times more than a GPU, they cost way less and are way easier to set up and use. Does that mean that GPU mining is coming to an end? All of the above means that there is probably no static algorithm that could prove to be 100% ASIC-proof. Developers of coins such as Monero have come to the conclusion that the only way of dealing with ASICs is by regularly changing the hashing algorithm to render existing ASICs obsolete. Do that twice a year and your coin will remain pretty much ASIC-proof. Monero has forked recently and the results were amazing – about 30% of the network hashrate is missing now after the fork. People attribute this to two main possibilities: broken botnets and Bitmain CryptoNight ASICs rendered obsolete for Monero. From what I’ve seen, some of the most popular Cryptonight/Cryptonote coins are following Monero’s foosteps and going GPU only. For example, Sumokoin is forking too to become officially ASIC-resistant. First of all, it is common sense that now with a ~30% lower network hashrate, the supply of XMR will decrease. This might lead to a price increase of the coin – In fact XMR went straight up from 38 XMR/BTC to 40.8 XMR/BTC the day of the fork. Moreover, it seems that lately ASIC-resistant coins are growing. DigitalNote is a great example of that, I believe. It has been experiencing a fall since January of this year, though eventually Monero forking and all the anti-ASIC talk reversed the direction and now the coin goes up once again. This might not be the (main) reason why the coin price is recovering, though I see a clear correlation here. And this is not the only case. My theory is that the community is giving ASIC-resistant coins some sort of priority, for now. Thanks to Monero, the topic of ASICs is very hot. Not sure for how long will this last. Since miners usually follow the money, I wouldn’t ignore the possibility of more GPUs switching to ASIC-resistant coins in the near future. I wouldn’t be surprised to see Monero hashrate getting back to the 1.100 GH/s mark in few months, though this time thanks to GPU mining. Oh and it might be just a rumor but ASICs apparently almost killed both Electroneum and Sumokoin few days ago. It might be nothing but a rumor however I see a lot of people associating those network difficulties with ASIC mining. This, again, might be a reason why ASIC-resistant coins are growing lately. Let me rephrase this – ASICs might not be as evil as people picture them, though if people believe that ASICs are bad, there is a chance they will throw their money at coins that can only be mined by generic PC hardware. So yeah, lower difficulty and higher coin price will definitely attract a lot of GPU miners to those coins if the trend will persist. What to Mine in Q2, Q3 2018? Personally, I believe that ASIC-resistant coins are the future for GPU miners; or at least if the trend persists and investors will keep being interested in those coins. By ASIC-resistant I mean coins that are actively opposing themselves to ASIC mining. A great example is Monero and Ravencoin. Again, while Ethereum is ASIC-resistant by architecture, some of its core developers aren’t really giving a damn about the mining community, which means that the majority of the network hashrate will probably end up in the hands of ASIC owners until the coin switches to PoS, of course. As discussed earlier, we might see a price increase for the ASIC-resistant coins in the near future, which of course means more profit for anyone mining them. Another reason to mine them is that those coins will more like have an acceptable network hashrate. Having developers in an active anti-ASIC stance will more likely keep the coin safe from any sort of specialized hardware. Maybe it’s a better idea to simply follow the current and switch to ASIC mining? Back in the day (about 1 month ago? ), you’d pay for 1 Baikal giant N and you’d get 1 Baikal Giant N for your money. Today, you can get five of those units for the price of one. Baikal is being a bit too generous right now. Bitmain also dropped the price of their Antminer X3 from 11.800 USD (batch 1) down to 1.900 USD (batch 4) in the span of ~two months and apparently you cannot even buy it anymore (at least I’ve checked today and there is no “Buy Now” button on Bitmain’s website. The page only contains the standard payment policy). What could that mean, I wonder? If you’re like me, you wouldn’t want your GPU rigs to compete against specialized mining hardware. Those days I’m trying some of my rigs with Ravencoin. I’ve tested all available miners and tomorrow I am actually posting a guide on how to mine it. I’m also giving Monero some megahashes and observing how this pays off. Mining Monero is a bit easier right now because there are way more exchangers where you can sell your coins in case you need some quick cash. Ravencoin is more of a mid- long-term investment, or that’s how I see it for now. Stay tuned for the Ravencoin mining guide and please, let me know what coins you think are the most interesting for GPU mining.